Happy Sunday... :) Here is my outfit from today, which I am in fact wearing as we speak - 'cept bundled in a sweater cuz my room is cold! I wore this to church and to grocery shop with my parents... which was just the epitome of fun, let me tell you! ; ) Yeeeeaah... Anywho, this week is final's week and I'm at this point. :D I should probably get on studying, eh? What a pretty outfit!! 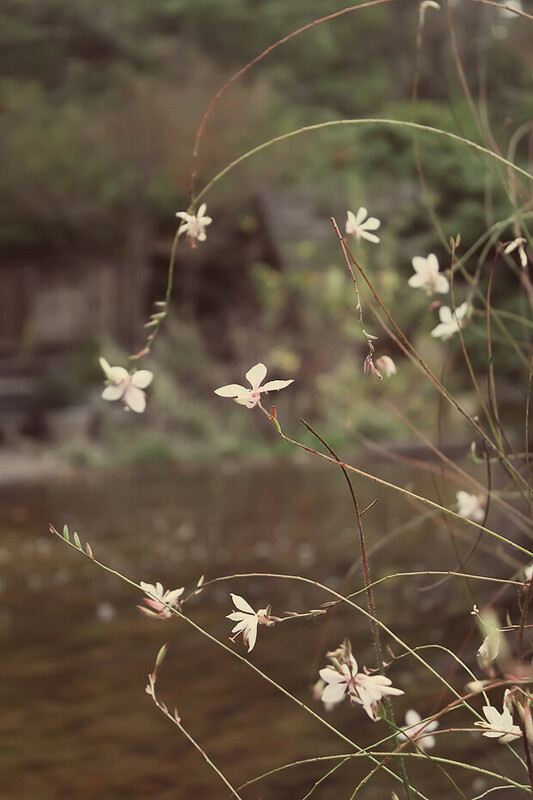 What do you use to edit your photos? best of luck with finals and applying to schools! great outfit! And wow good luck with finals I start them next week D=. Maybe you've heard this before but you look like Emily Osment! Have I told you before that I love your bag? Because I definitely love your bag. you're adorable! 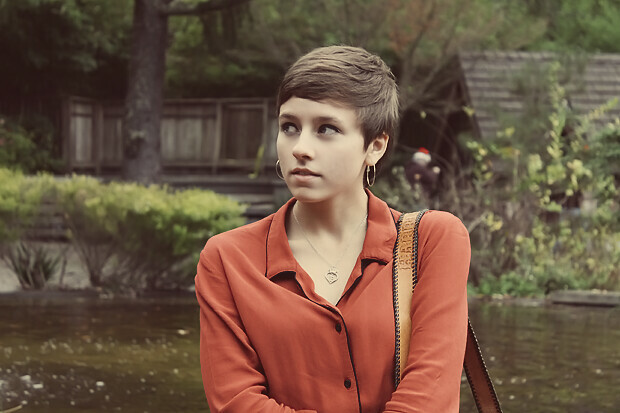 I love that rust colour you, and cute matching ring! This looks like the art and garden center in Ross! & I loveee your jewelry combos! That shirt is so nice! the black trim on it adds so much! it's a beautiful piece. also those shoes are really unique. I've never seen anything like them before. really neat outfit all in all. :) and great photos! 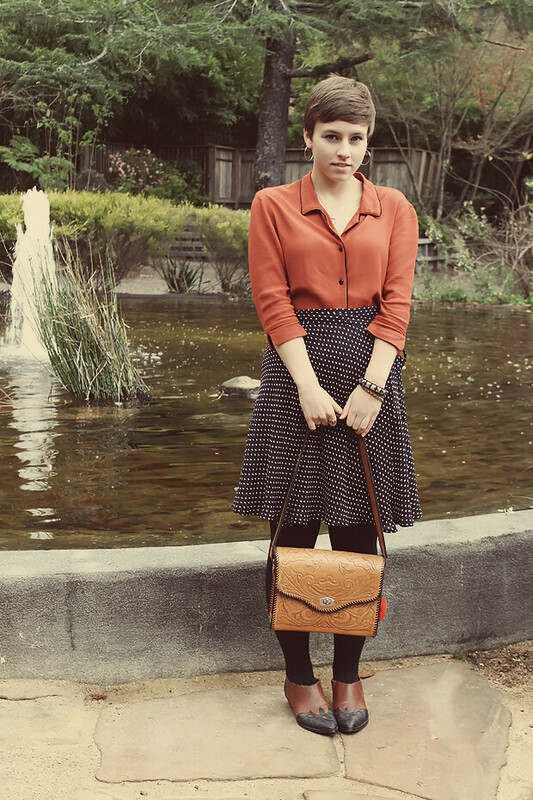 This is such a cute outfit, I love your bag. The jewelry is so pretty! 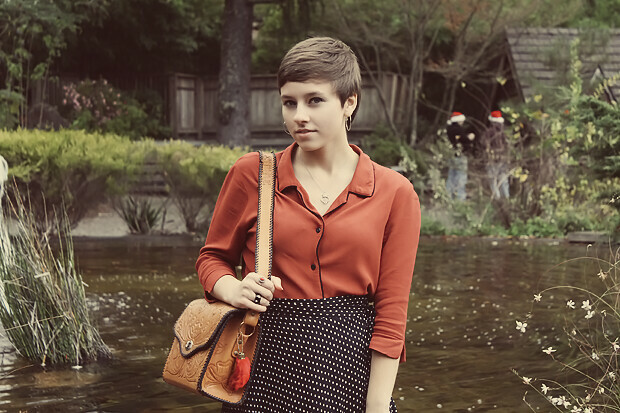 And I'm loving that burnt orange blouse:) Good luck with finals week!! 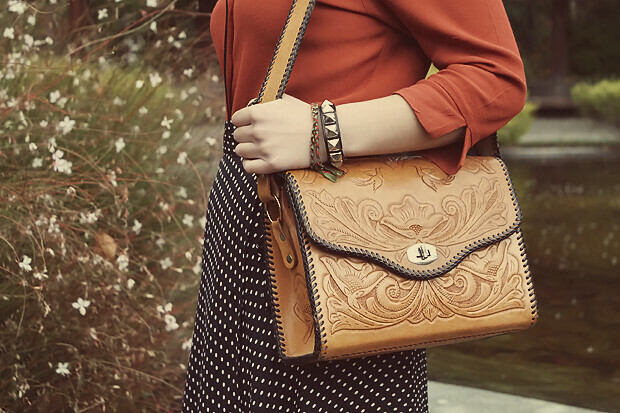 I love the tooled vintage bag and the colour rust reallu suits you! best of luck with your finals. Thats was always a hellish week but it was oh so sweet when it finally ended! 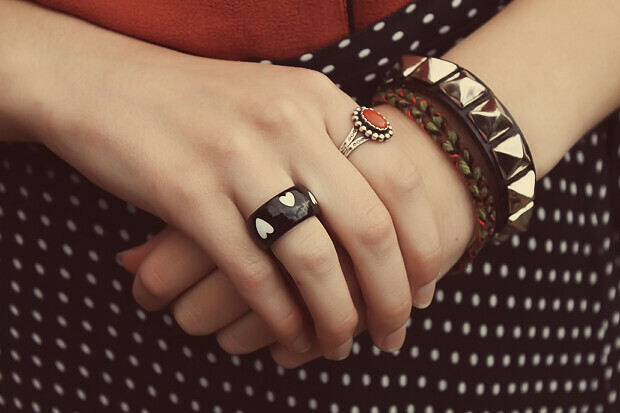 Loveeee your heart ring.. so cute! That is so exciting about the acceptance to George Fox and potential job there. Congrats darling!! Sounds like a wonderful opportunity. I love this retro type look. You pull it off so well! good luck on finals! im right there w u! 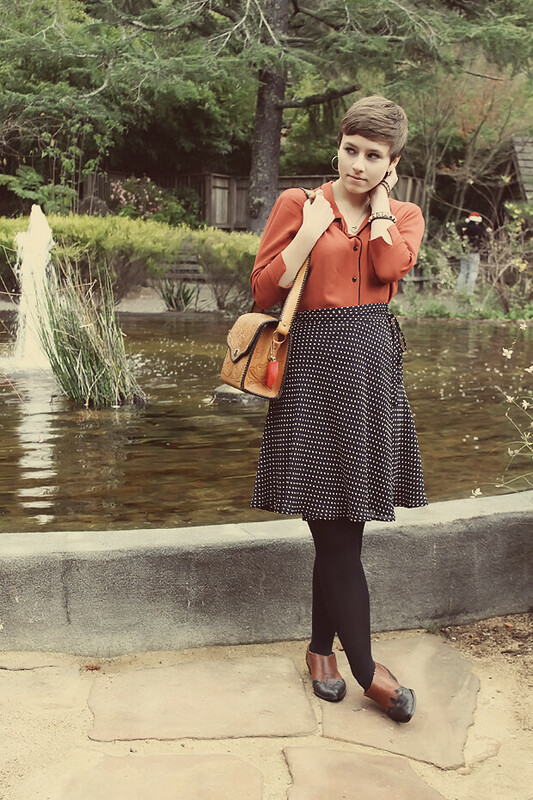 i've spent almost all day browsing through your blog, your style is amazing! !